Well, it happened again. It should be of no surprise, but we always find ourselves dumbfounded when controversy arises in the sport of boxing. 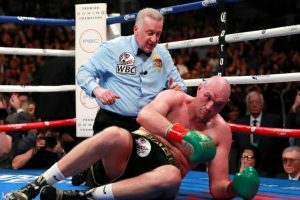 On Saturday night it looked as if Tyson Fury, despite suffering from two knockdowns, clearly had won his heavyweight world championship fight with Deontay Wilder and should be coming home with the WBC belt strapped around his waist. However, that was not to be when the contest was scored as a split decision draw. 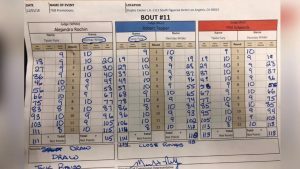 Alejandro Rochin scored the fight in favour of Deontay Wilder by a ludicrous four point margin, 115-111. Phil Edwards had it 113-113 while Robert Tapper’s score lead up to 114-112. 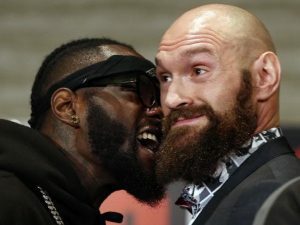 Before the fight a fair amount of critics and fans reminded one another that the man who calls himself the “Gypsy King” would probably need to knockout Wilder to get the win, as is often the case when a fight has to fight a champion in his own backyard. What happened a couple of days ago surely emphatically proved what those people said was correct. The build-up may have been a tad on the Pantomime side, but the fight produced all the drama you could expect. This isn’t the first time that this has occurred in a high profile championship heavyweight fight. Many can remember when Lennox Lewis got a draw against Evander Holyfield back in 1999 after it looked as if he dominated his American opponent in New York. Lewis got justice in the rematch toward the end of that year. But things like this should not be happening. Why does it happen? Who knows. We can all indulge in speculation, which there has been plenty of during the last 48 hours. Suggestions such as governing bodies introducing the threat of license suspension if a particular judge’s scorecard seems exceedingly unusual. However, there are no easy fixes. That much is certain. And if a solution is eventually found then, depending on what that is, may take considerable time to implement. So patience is key. The infamous scores for the fight. Moving on, let’s discuss Deontay Wilder for a moment. Judging by his persona at the post-fight press conference, it came across to me that he was quite grateful for the draw. The fortunate champion wished the attending press a safe journey home and was ever so polite throughout, which is normally uncharacteristic for him. Don’t get me wrong, he has never been outright rude at post-fight press conferences. But he sure has not seemed this humbled ever in his career up until this point. Make of that what you will. 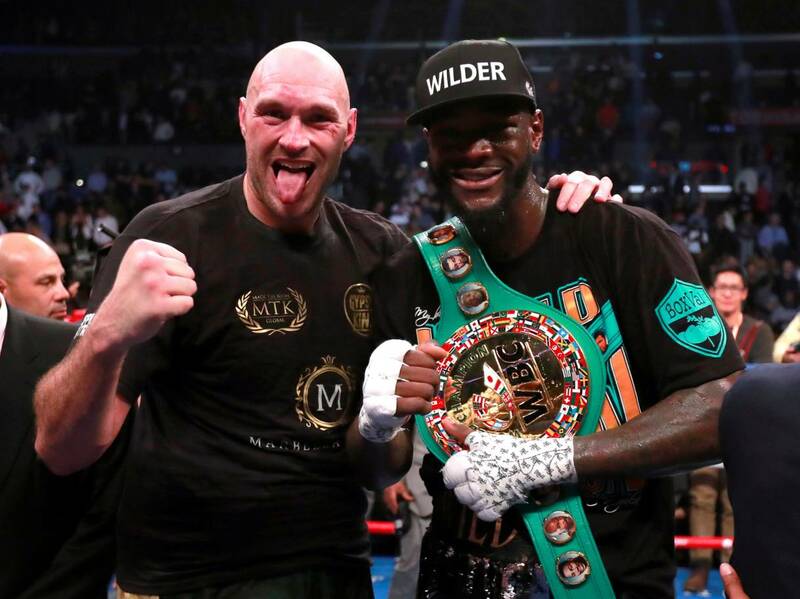 It was very apparent in the fight that Wilder does not know as much as Tyson Fury when it comes to executing clinical boxing skill. So, can he go back to the drawing board and work on that at this stage after participating in over 40 fights? It is doubtful. All boxers do what comes naturally in their approach to fighting. They all have their own ways. Natural ways that are difficult to change, especially late on. He may be able to learn a thing or two here and there. But he will never be able to overhaul his fighting style, just like Tyson Fury will not be able to modify his approach in order to become a devastating knockout artist. Tyson Fury inexplicably rises up from being knocked down in the 12th round. But with that said, the “Bronze Bomber” knows that he can hurt Fury. How the challenger managed to get up after that heavy knockdown in the last round is anybody’s guess. A friend of mine said that it was divine intervention. Maybe. Maybe not. Realistically speaking, Tyson Fury is just a really tough man who comes from a big fighting background. He knows how to dig deep and go to that well that fighters need to often do when their opponent equally wants to come out victorious. But still, there is no doubt that he was hurt and Wilder knows that, even though his right hand is famous for producing the knockout, his left hand is fearsome too! That is why if a rematch ever takes place, the return could be even more dangerous for Fury. Should a rematch even happen? Morally speaking, if I was Tyson I would demand that it take place in the UK. That is fair. There were whispers that Saturday’s fight was not a complete sellout, so arranging to have a second fight in a stadium would inevitably produce much more financially. It would almost be guaranteed to sell out, as well. Alternatively, Fury could just walk away and try to make amends with Eddie Hearn in order to organise a mega British showdown with Anthony Joshua. His stock has soared, even though the Wilder fight was basically a no result situation. Lastly, he could keep himself busy with fighting some top contenders and wipe them out. But there is very little reward in doing that. We will see what happens once the dust settles, but there should be some major opportunities abound for the Englishman. Can the same be said for Deontay Wilder? Well, if a deal is finally reached to finally face Anthony Joshua then, sure, why not? But if it’s not then more difficult trials could lay ahead.